In the game of chess, every move brings important decisions. Is it best to advance, and stake a claim to new ground? Or to retreat, consolidating gains? Taking the lead, or letting the person across the game board set the pace? Collaboration is fraught with decisions like these, where we must decide how to engage, and then revisit those decisions again and again, making adjustments. Much depends, of course on our intentions and the context of the situation at hand. Are we there to share and inform, or to learn? Ultimately, isn’t it some of both? In the context of effective team dynamics, I believe we need a balanced strategy, finding the optimal place between extremes, sharing and learning in useful ways. It’s about letting the circumstance of your knowledge, the topic, and the chemistry of the group tap new, “emergent” possibilities. 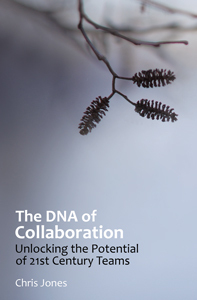 As we continue to explore the dynamics of effective collaboration in The DNA of Collaboration, “Balanced Objectives” (Ch.17) asks us to consider the importance of a balanced approach, and to understand how to get there. Q1. Explore the shifting dynamic of teacher v. learner in a collaborative context. Q2. 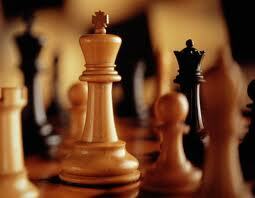 As in chess, collaborators balance opportunities to advance v. consolidating gains. Can we switch often and be productive? Q3. To achieve collaborative balance, must our roles keep shifting between leading and following? Q4. Is there an optimal balance between structured process and a more open, creative flow? Hope this helps bring the balancing act of collaboration a bit more into focus. It’s critical thinking at the micro level, making decisions in the moment. When it comes to solving problems in teams, paying attention to dynamics like these pays huge rewards. Challenge me with your thoughts and ideas .. we’re all here to learn! I’ll see you online!